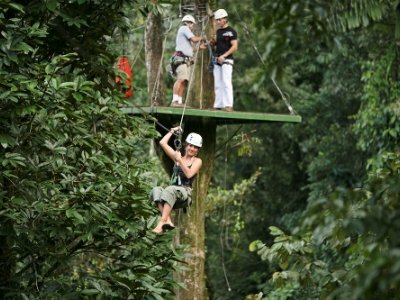 3 Day Arenal Volcano Tour - 3 Day Adrenaline Blast! 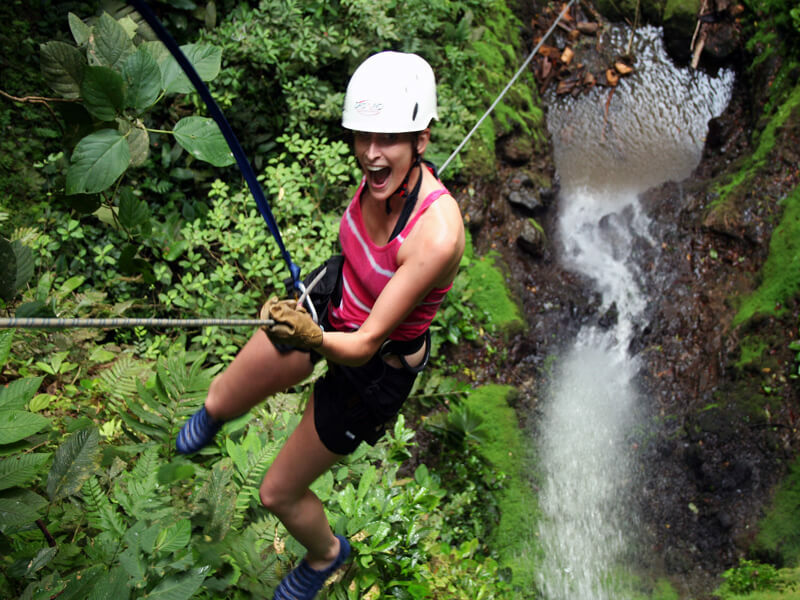 Monteverde › Packages › Adventure Package › 3 Day Arenal Volcano Tour - 3 Day Adrenaline Blast! 3-Day Adrenaline Blast! 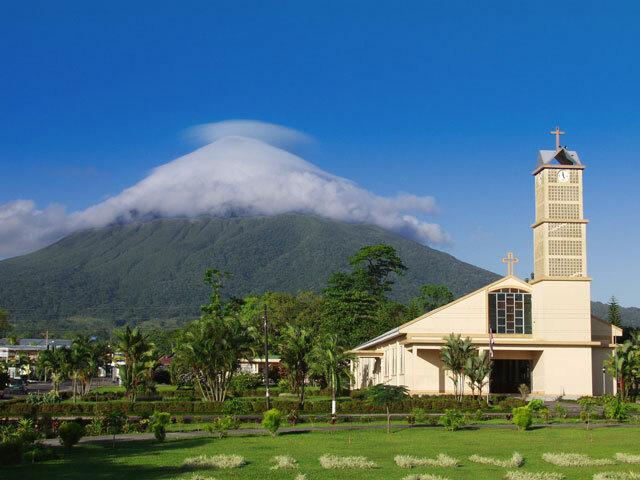 Spend 3 days exploring the beautiful areas of Arenal Volcano. See amazing, wildlife, volcanoes, hot springs and waterfalls. 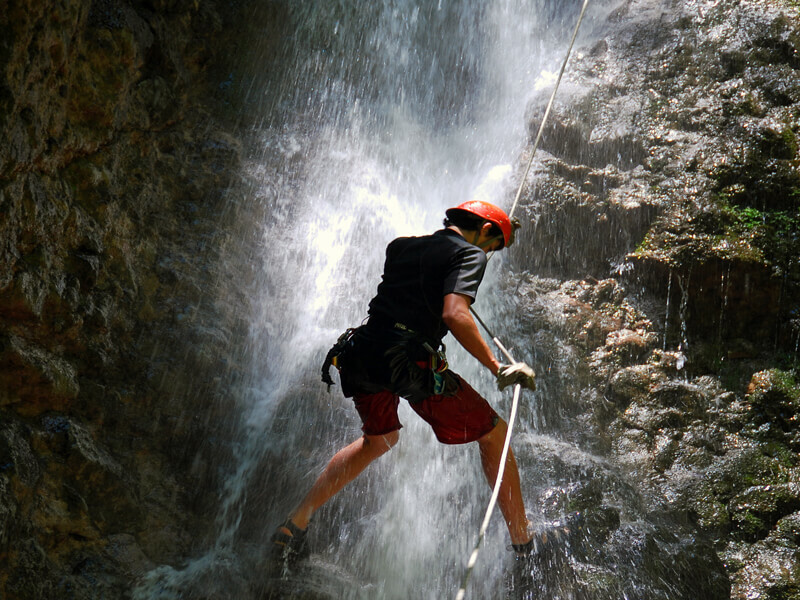 Enjoy the thrills of white-water rafting, canyoneering (rappelling) and canopy zipline tours. Optional tour to Monteverde. Early Morning. Your vacation starts with a pick-up from San Jose by private transport - forget the worries about public buses and safety. Our Costa Rican driver will pick you up from your hotel reception or the San Jose airport and bring you to your hotel in Arenal. 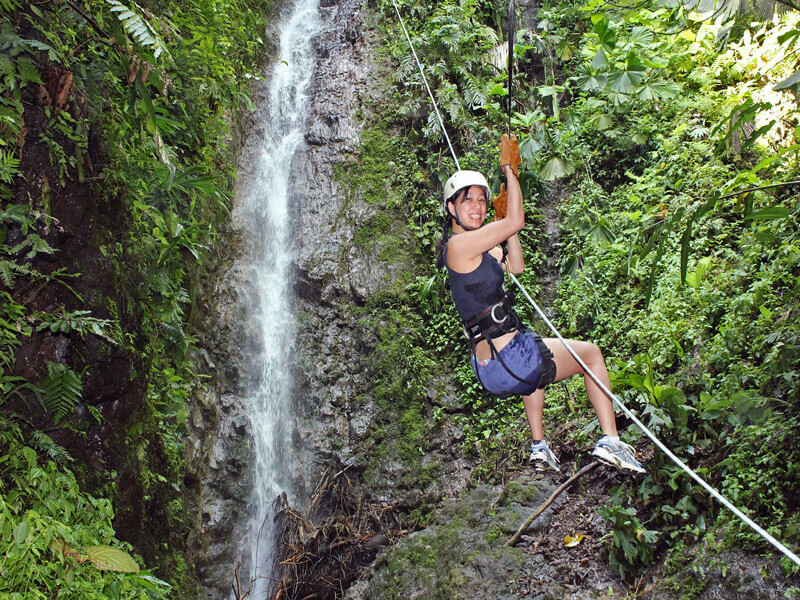 Enjoy the scenery as you make your ascent to the beautiful green mountains of Costa Rica (3 hours). There will be a stop along the way for a bathroom stop and a snack. A Visit to Costa Rica is not complete without seeing Arenal's famous volcano! Hike through old lava fields in the National Park and lush rainforest with an experienced naturalist, bilingual guide who will point out flora and fauna in the primary and secondary rainforest that lines the base of the Arenal Volcano. You'll then arrive at the observation point - the closest you can get to the base of Arenal Volcano . Note though.. that it is more than 6 years since lava activity has been seen, although your can still hear it and it is still emitting gases. Tours, Tours are still very interesting as you learn about the history of this impressive volcano! After the night hike we will take you to Baldi Hot Springswhere you can soak any aches away from the past few day's activities. Located near La Fortuna, these Arenal hot springs is a place where you can really relax and pamper yourself. Baldi's has a series of pools and hot springs fed by Arenal Volcano which are set amid glorious tropical gardens so that you can relax in the water, while enjoying the surroundings. The pools vary in temperature, from the temperature of a swimming pool to the warmest at around 39C (102F). It's a place where, on a clear night, you can sit in a warm pool, sipping the cocktail of your choice. 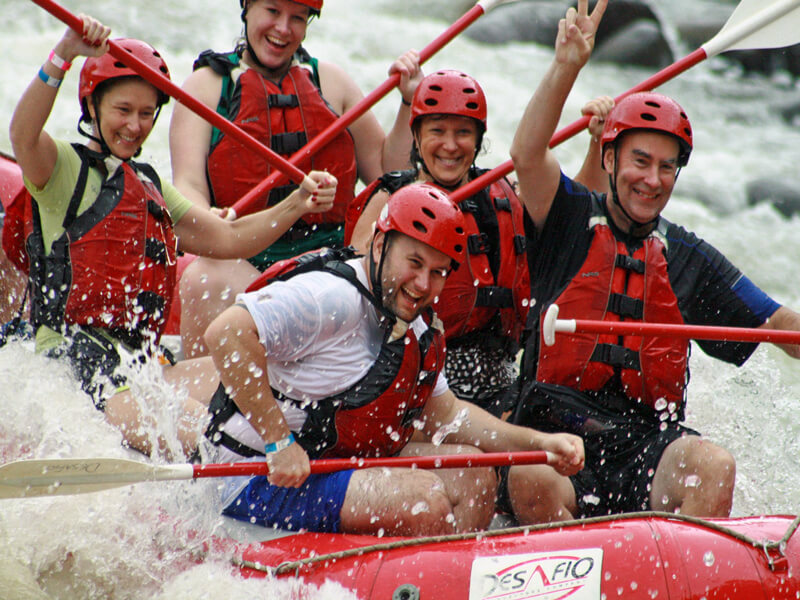 The hottest full day whitewater rafting trip in the country on the scenic and mighty Rio Sarapiqui! 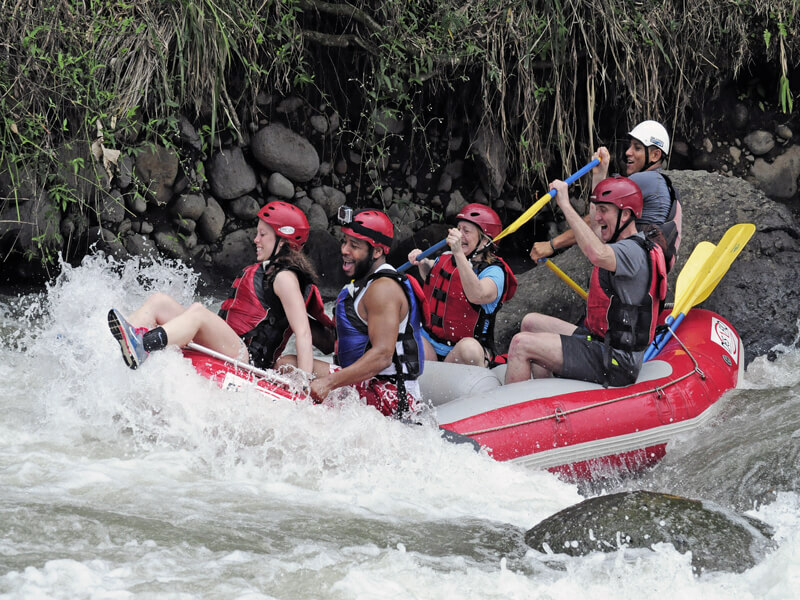 Non-stop whitewater action with exotic wildlife and continuous rapids. 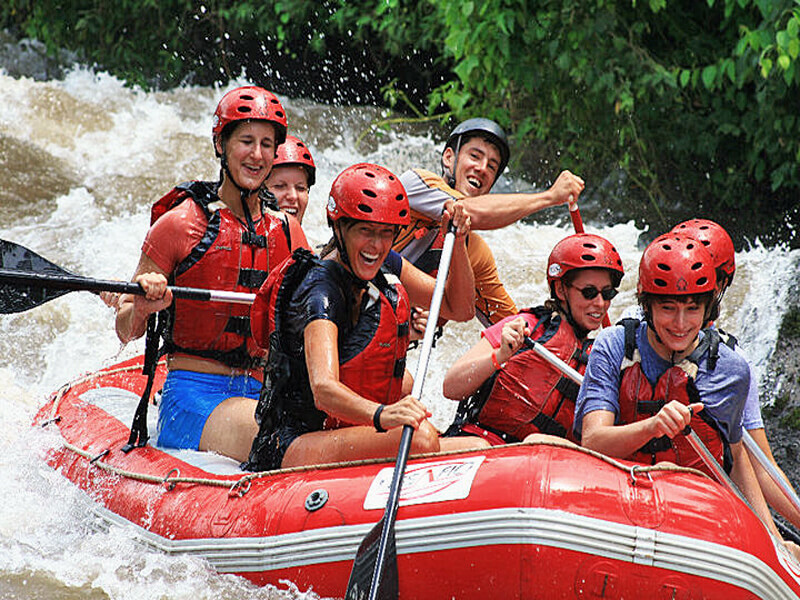 The tour run by the very experienced and safety-conscious, Desafo Adventure Company, departs from your hotel about 8:30am and returns around 4:30 pm. The tour Includes tropical fruit fiesta and delicious 'casado' lunch. If the river is too high we have alternative rivers to choose from and for those who like a little less action there is the option of a the Class 2/ 3 Rio Balsa or the half-day Safari Float, which is a gentle float down a Class 1 river, with opportunities to see monkeys and other wildlife. For those who want a little less adventure you can opt for a walk to the La Fortuna Waterfall. 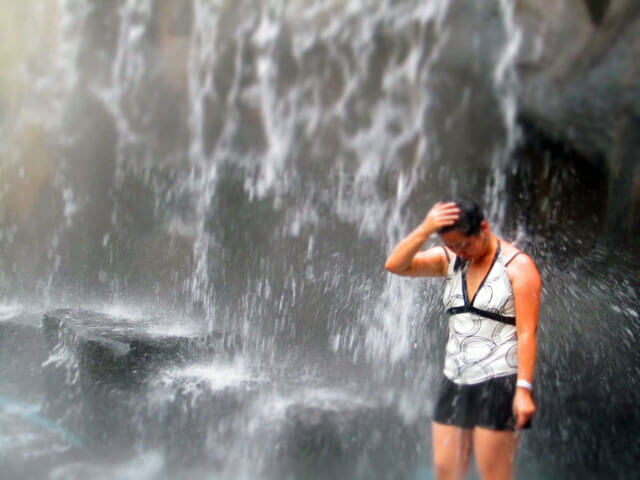 This is an opportunity to swim in the refreshing waters of the famous La Fortuna falls. You'll be picked up after breakfast and taken to the entrance where a 40 minute descent will bring you to the base of the waterfalls. You'll have time to relax and swim before beginning the climb back up. After the visit we'll stop for a short while at the hotel to freshen up, collect your bags and have something to eat before heading off back to San Jose (or you can opt for a shuttle bus to one of the main beaches). Or we can arrange a taxi-boat-taxi to Monteverde. 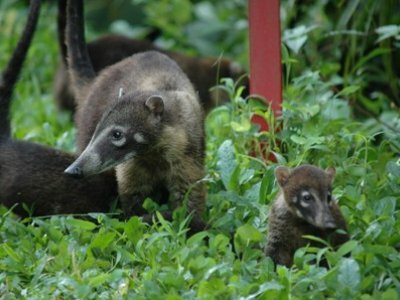 Optional tours and hotels can also be arranged in Monteverde. Located on the edge of the town La Fortuna, Hotel San Bosco is a good-sized hotel with about 34 rooms. Rooms are very comfortable with A/C, private bathroom and cable television There is a swimming pool and jacuzzi . The volcano is plainly visible from the hotel San Bosco on a clear day. Or we can arrange a taxi-boat-taxi to Monteverde. Optional tours and hotels can also be arranged in Monteverde. Included on Trip: All accommodation except in San Jose (which can arrange for an additional cost), all transport, all tours in the itinerary, all breakfasts and 2 lunches and dinner at hot springs. What to Bring: T-shirts, shorts, sweater or light jacket, sandals, light hiking boots, rain jacket, sun screen, insect repellant, any personal medication, swimming wear, towel, traveler's insurance (to include white-water rafting and canyoneering, full passport, and credit cards (VISA and MC, other cards are sometimes harder to use).